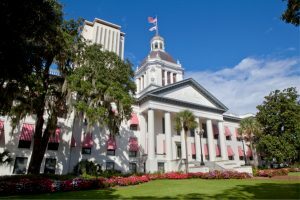 The University of Florida College of Journalism and Communications (UFCJC) today announced the launch of Fresh Take Florida, an effort to provide coverage of Florida state government at a time when state capitals are increasingly under-covered. Six student journalists, all graduating seniors, will be covering executive-branch agency operations as well as legislation throughout the 2019 legislative session. They will focus on covering topics of particular impact to the North Central Florida area and the University of Florida community, and will include higher education, healthcare and environmental protection. Students will be working out of the Miami Herald/Tampa Bay Times capital bureau using workspace volunteered by the news organizations. The stories will appear on WUFT News, the companion site of the WUFT public media stations operated by UFCJC. Some stories could also appear in the Miami Herald, Tampa Bay Times and other publications by Florida news organizations. The program officially will launch on Jan. 30 with students attending the Associated Press’ annual legislative day in Tallahassee, where they will have the opportunity to question the state’s top newsmakers face-to-face. The student journalists’ work will be overseen by LoMonte, Rob Hiaasen Lecturer in Investigative Reporting Ted Bridis, Michael and Linda Connelly Lecturer in Narrative Nonfiction Moni Basu, Innovation News Center (INC) Director Mira Lowe, and INC Deputy News Director Gary Green. Students will receive course credit through either Bridis’ investigative reporting course or Basu’s magazine writing course.